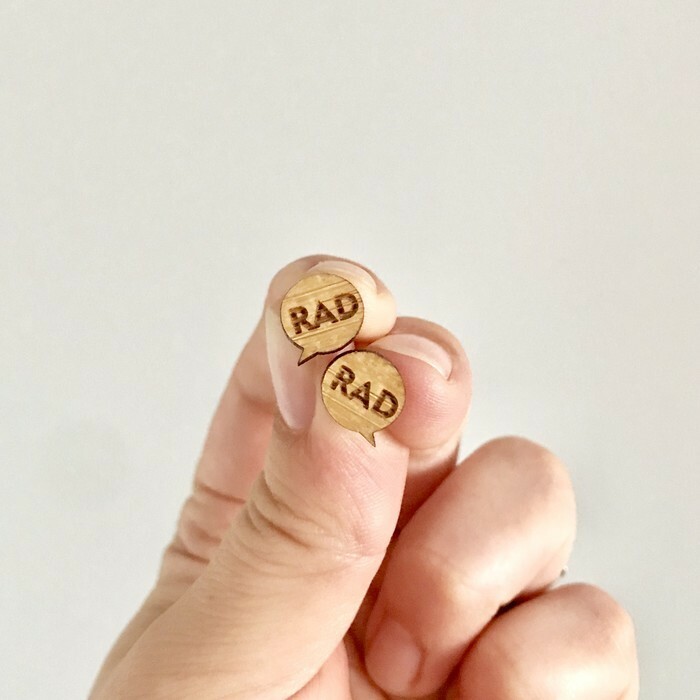 Cute and quirky earrings in laser cut and etched bamboo. Lightweight to wear and made with surgical steel studs so perfect for sensitive ears. Studs measure approx 10mm in diameter. Use code LOCAL for delivery/pickup in the Warragul area.